Hey guys, yep, I’m still alive. Just haven’t been all that inspired to post lately. I’ve discovered that once you get out of the habit, it’s hard to get back in. In any case, a friend of a friend has written a new novel set in the restaurant milieu. I haven’t read it yet, but it’s not very expensive and the author comes recommended by a friend of mine who happens to be in a pretty famous band that many of you would know if I were to mention it (but I’m not going to do that). “Love, loss and redemption are common threads found in the colorful tapestry of human experience. 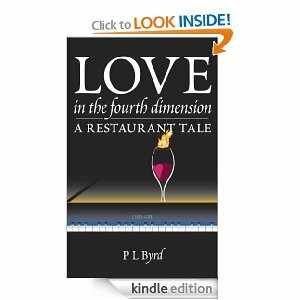 This book is part crazy quilt, part magic carpet, and filled with characters who sound like someone you know – especially if you’ve ever worked in the restaurant business. Strap yourself in and take the A-ticket ride with restaurateurs Sam and Mimi Killian, musician Dr. Jake Reston, and an assorted cast of broken and loveable (or not) fellow travelers on their humorous and humbling journey toward…well…you’ll see”. If you spend the 4 bucks for it, let her (and me for that matter) know you saw it here. It will make my day (this post is completely unsolicited and even my friend doesn’t know that I write this blog). Here’s where you buy the book (and yu can preview the book at Amazon. The image below is just a jpeg.